Tori Murden McClure was the first woman to row a boat, alone, and without assistance, across the Atlantic Ocean. It took her two tries. On her first solo journey Tori rowed more than three thousand miles before being hit by a hurricane. A year later, Tori returned to try again and was ultimately successful. Tori was one of two who were the first women and one of six Americans who were the first Americans to travel over land to the geographic South Pole, skiing 750 miles from the ice shelf to the pole. An avid mountaineer, Tori has climbed on several continents and was the firstwoman to climb Lewis Nunatuck in Antarctica. She is a fully certified Emergency Medical Technician in both urban and wilderness areas. She is also a graduate of the National Outdoor Leadership School (NOLS) semester courses in Alaska and Kenya. She serves on the Board of Trustees for NOLS. Tori earned her A.B. from Smith College where currently she serves on the Board of Trustees. She earned a Masters in Divinity from Harvard University, a Juris Doctor from the University of Louisville School of Law, and a Masters of Fine Arts in Writing from Spalding University. 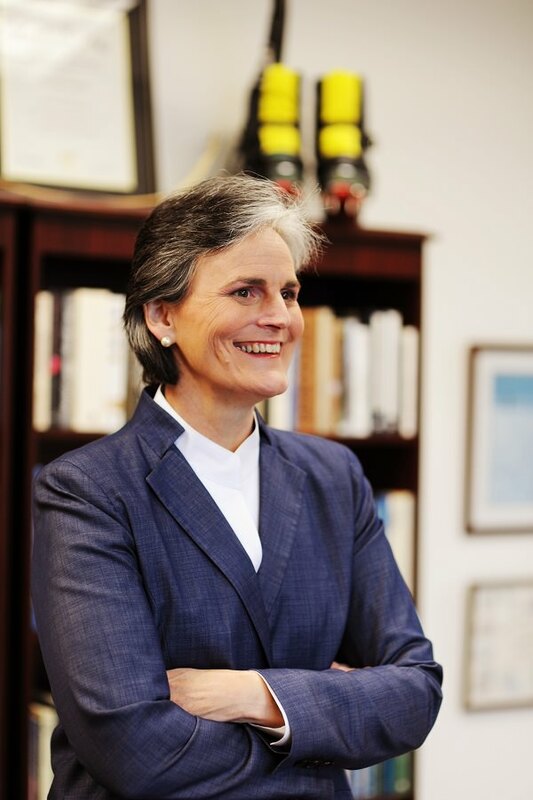 She was admitted to the practice of law in 1995 and is a lawyer in good standing with the Kentucky Bar Association.She has worked with troubled teens, homeless adults and homeless families. Professionally, Tori has worked as Chaplain at Boston City Hospital, as the executive director of a shelter for homeless women, and as a public policy assistant for the Mayor of Louisville. She also worked for Muhammad Ali to assist in the creation of the Muhammad Ali Center in Louisville. Currently serving as Vice President for External Relations, Enrollment Management, and Student Affairs at Spalding University, Tori serves as a member of the President’s Cabinet. She oversees Admissions, Financial Aid, the Registrar, Marketing and Public Relations, Advancement and Philanthropy, Intercollegiate Athletics, and serves as Corporate General Counsel. Tori is the recipient of multiple international honors. Thor Heyerdahl presented her with the Peter Byrd Trophy—she was the first woman to be honored with this award. In Paris she was recognized along with Lance Armstrong by L’Academies des Sport for significant sportingachievement. At the Moscow International Festival of Mountaineering and Adventure Films, the French documentary “Beyond Limits – Tori Murden,” took the prize for the “Best Foreign Adventure Film,” and Dr. Yuri Aleksandrovich Senkevich awarded Tori with a Russian chalicefor extraordinary achievements. Tori now resides in Louisville, Kentucky with her husband, Mac. She is still rowing, albeit on the Ohio River instead of the Atlantic.